The long-delayed plan to bring a light-rail trolley between Brooklyn and Queens has been revived, following the completion of a two-year feasibility study, Mayor Bill de Blasio announced on Thursday. But the proposal differs from the original idea for the Brooklyn Queens Connector (BQX) the mayor had first released in 2016. The cost of the revised project has jumped to $2.7 billion from $2.5 billion, the number of miles on the route has dropped from 16 miles to 11 miles and the city expects the cars to run by 2029, instead of the original projection of 2024. The plan to bring a 16-mile light-rail trolley between Brooklyn and Queens has already cost taxpayers millions of dollars, even before the feasibility of the project has been determined. 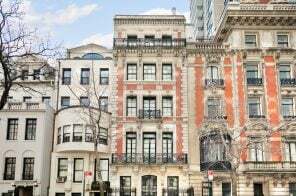 The study has cost the city $7 million in taxpayer money so far, according to the New York Post. 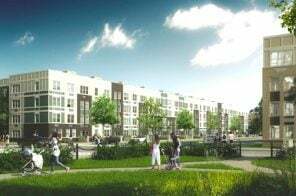 And while the city’s Economic Development Corporation promised to have the study completed last fall, this week the agency said they would not put a timeline on its release. Mayor Bill de Blasio first backed the Brooklyn Queens Connector (BQX) project in February 2016, but a series of delays and funding concerns have put the trolley on hold. 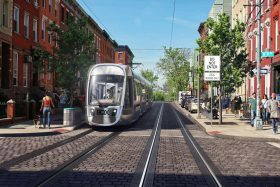 The proposed streetcar was left out of the city’s budget proposal last month, further delaying studies into the project’s plausibility. With the unveiling of its inaugural prototype last fall, things were looking up for the Brooklyn Queens Connector (BQX) streetcar, a proposed light-rail trolley that would run 16-miles along the East River between the two boroughs. 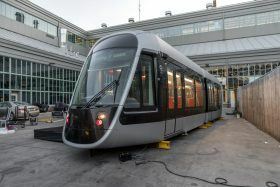 The Friends of the BQX even held an event to show off the ultra-sleek, 46-foot long prototype car. 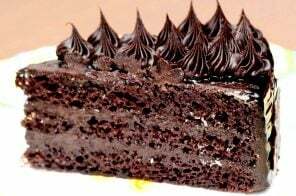 However, studies into the project’s construction feasibility, as well as its ability to pay for itself, are still underway, according to the Daily News. At an event at NYU, Deputy Mayor Alicia Glen said the administration is still determining the project’s ability to be self-funding. Red Hook’s revitalization: Will transit and development proposals change the small community? The story of Red Hook is ripe for a movie-rights bidding war. In the past, there were mobsters and maritime ports, hurricanes and housing developments. Now there are politicians and developers fighting to rebuild and locals fighting back. In the end, what will happen to Red Hook is unknown but none of the massive proposals will happen in the near future. It is a small community in a big city that is tackling the issue many neighborhoods have dealt with in the past – how to grow. After the massive Hurricane Sandy rebuilding effort, there is a very solid and passionate local population and a growing cluster of cool restaurants, retailers, and artists attracted to the area. That coupled with the recent political attention by Governor Andrew Cuomo and Mayor Bill de Blasio and the developers drooling over the possibilities of the 130 acres of land ripe for redevelopment (that’s six times the size of the $25 billion Hudson Yards development) make Red Hook very newsworthy. 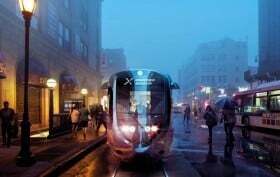 When a leaked memo about the Brooklyn Queens Connector (BQX) surfaced a couple months ago, it painted a less-than-optimistic picture of the proposed $2.5 billion streetcar due to major construction challenges and doubts that Mayor de Blasio’s plan to self-fund the project through taxes from higher real estate values would pan out. Despite these concerns, however, the Transport Workers Union Local 100 endorsed the 16-mile streetcar project today, according to a press release from Friends of the Brooklyn Queens Connector. 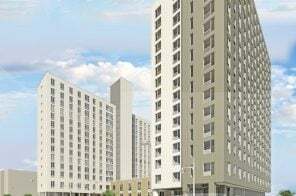 Recent news has focused on plans announced by Mayor De Blasio for a streetcar line, dubbed the Brooklyn Queens Connector (BQX), to connect “underserved, but booming” areas of the boroughs. 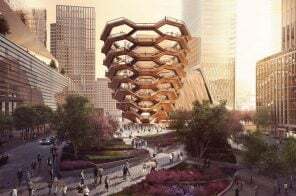 The city’s plan would run for 16 miles along the East River, from Astoria to Sunset Park, at a projected cost of $2.5 billion, serving bustling commercial hubs like the Brooklyn Navy Yard and Long Island City, as well as providing access for about 45,000 public housing residents. 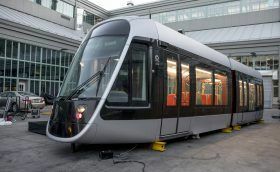 With concerns from local businesses and residents growing, the Times looks to the Hudson-Bergen Light Rail, an already-existing streetcar line in New Jersey that travels from Bayonne through Jersey City and Hoboken to Weehawken. It’s been moving passengers for over a decade and today serves 46,800 passengers on a typical weekday. 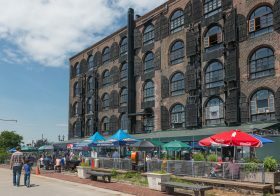 By most accounts it’s been a success, helping employees get to work (with a skyline view, no less) and encouraging development in areas along the waterfront that had suffered from blight and neglect. Two rivers over, it’s the areas through which the proposed “BQX” would travel that are the subject of some concern. 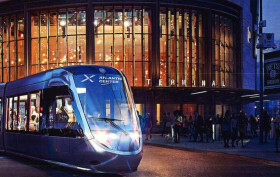 Earlier in the month, 6sqft shared news of a detailed proposal from non-profit advocacy group Friends of the Brooklyn Queens Connector that called for a Brooklyn-Queens streetcar line to connect “underserved, but booming” areas of the boroughs. The city must’ve been listening, because Mayor de Blasio is expected to announce today in his State of the City speech that he’ll be backing such a proposal. Like the original scheme, the city’s plan will run 16 miles along the East River, from Astoria to Sunset Park, but at a projected cost of $2.5 billion, it will be significantly more expensive than the previous estimate of $1.7 billion, but significantly less than a new underground subway. Not only would the streetcars serve bustling commercial hubs like the Brooklyn Navy Yard and Long Island City, but they’d provide access for about 45,000 public-housing residents. The dream of a Brooklyn-Queens light rail is moving further into the realm of reality. Back in July last year, 6sqft reported that an advisory committee comprised of developers, transportation experts and civic organizers was in the midst of forming to address the need for a more robust transportation system that could connect underserved, but booming, areas of Brooklyn and Queens. Now as the Daily News tells us, a non-profit advocacy group called Friends of the Brooklyn Queens Connector has officially materialized to tackle the issue, and they’ve just released a detailed proposal revealing the route and the potential design the modern streetcars could take on.